After causing ripples in the FMCG sector, yoga guru Baba Ramdev's Patanjali is eyeing the fashion sector. The company will open 100 exclusive apparel stores across the country by next year along with starting e-commerce operations by the end of this year. The apparel range will also be available on Amazon, Flipkart and Paytm. The company will also open small stores in various cities. 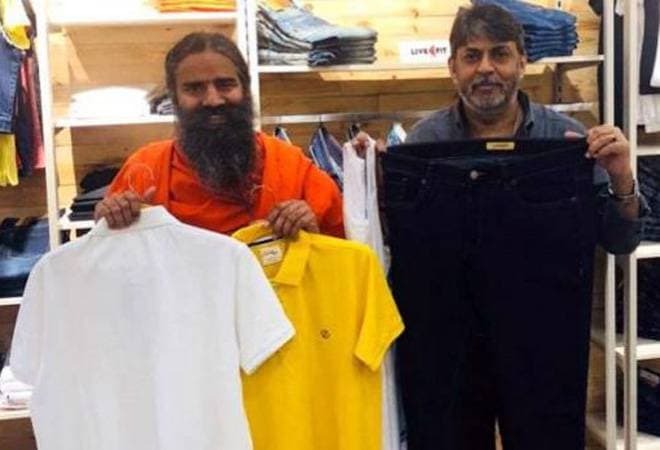 Patanjali Ayurved, promoted by spiritual leader Baba Ramdev launched Patanjali Paridhan in November last year with a store opening in New Delhi housing three sub-brands, which included a womenswear brand Aastha, Unisex sportswear brand Livfit and a menswear brand Sanskar. Its fashion arm offers around 3,000 products across these sub-labels. According to a report in Financial Express, KN Singh, CEO, Patanjali Paridhan told the media house that small stores will stock only one of its sub-brands at a time. For instance, a small store will only contain menswear, not the complete Patanjali Paridhan range. "We are gradually trying to promote sub-brands individually, but our exclusive brand outlets (EBOs) are aimed at building our brand," Singh stated. Patanjali also launched an ad campaign recently for its fashion range seeking to create a movement towards embracing and embodying Indian fashion. The firm is eyeing various retail channel such as online retail, shop-in-shop mode, multi-brand outlets (MBOs), distribution through unorganised retailers and distributors. With presence in cities like New Delhi, Meerut, Aurangabad, Haridwar and Berhamput, Patanjali is expecting to open 20 operational stores by the end of this year across cities like Jaipur, Agra, Patna and Nasik. Patanjali is has allocated an advertising budget of Rs 1 crore in financial year 2019.